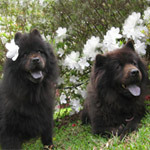 Fighting Chow Chows Please help! 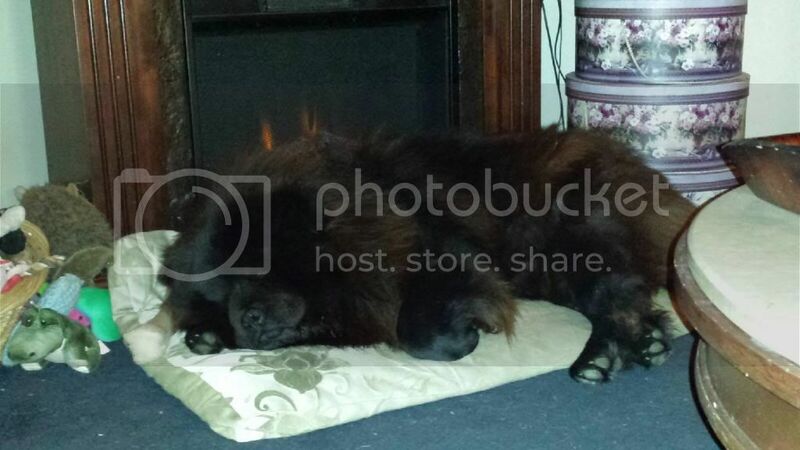 I have two chow chows 8 months old. A girl Kierra who is cinnamon and a boy Koda who is blue. I have had both puppies since they were 5 weeks old and have spoiled them rotten. They have been socialized around people and other dogs. They live inside but have a huge yard to roam in whenever they want. I have never had trouble with them until lately. My girl is very skidish towards others and when I take her around a lot of people she keeps her tail between her legs. My boy on the other hand loves people and attention. Lately when I have given them bones they start fighting very aggressively. I have never had problems before but now I am even nervous about breaking them up. They both have cuts on their faces from fighting. What is the best way to break them up from fighting and also whats the best way to discipline them? I need some advice from experienced owners! Thank you! 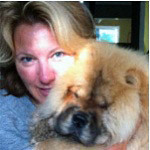 Re: Fighting Chow Chows Please help! Iight be an idea not to give them bones and to always supervise when giving them treats. Ask them to sit and give a paw for a treat. Don't leave them with something that they are going to chew on unsupervised. Also, I suggest you go back to the beginning with socialising them. OMG I love Kierra! She is so beautiful! 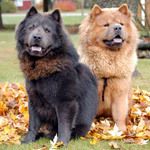 Eight months is teenage hood for chows and they will start acting up around then. 1) like Judy says, no more bones, not good for them anyway. 2) treats only with supervision. And only after performing a command, this helps with letting them know that YOU are the boss with treats. My Firesong used to be very food aggressive with dogs, mostly she's not anymore, but even after 11 years I have to remind her everyonce in a while to back off from Dreamdancer's treats they are his, she has hers. So they are never given treats without my supervision and they have to sit and wait for me to hand them to them, and take them nicely. Also, you want to work on the female's shyness, encourage her to go to people the male has already approached. Firesong was a timid female around people, I just encouraged her, praised her when she allowed people to touch and stroke her. Now she's very good with strangers and has been for a while. A timid chow can become a fear biter too fast so you want to really work on this. BTW they are both adorable, I love the male's little "Yogi Bear" face. Victory has a pretty good explanation of things. They are teenagers and trying to figure out dominance. As Kitten 1426 pointed out, Bear is the dominant individual, and just takes what he wants. The others complain, but that does not stop him. Because your two have not sorted out who is the alpha, the fighting is very rough. My two know that Ursa is the alpha. They still get into it from time to time, but it is a lot on noise, and some occasional shoving. They know I am going to call a time out and have everyone lie down if it lasts longer than a bark or two. Malachi. He has never met anyone that he did not want to approach and sniff. This outgoing behavior has made Ursa less apprehensive when approaching people that were first "checked out" by Malachi. Ursa's daddy wrote: Victory has a pretty good explanation of things. They are teenagers and trying to figure out dominance. As Kitten 1426 pointed out, Bear is the dominant individual, and just takes what he wants. The others complain, but that does not stop him. Because your two have not sorted out who is the alpha, the fighting is very rough. My two know that Ursa is the alpha. They still get into it from time to time, but it is a lot on noise, and some occasional shoving. They know I am going to call a time out and have everyone lie down if it lasts longer than a bark or two. My 2 get along great - except when it comes to bones! The only time that they have "gone at it" (scary!) was over a bone....so NO MORE BONES! Find another treat for them. It's not worth having them fight over bones. Belle was taught by our Iggy before he passed to take the treat to a rug then eat it. So she always takes hers to the rug by the door. I just watch Chumley to make sure he goes to a different rug. If he starts to go near Belle I make that 'aaacckk' sound & he moves in another direction. You can only do this if your chows view you as the master...but when Belle & Chums start growling over food/treats I just reach down & take it away. It doesnt take them long to figure out that they had best behave to get the good stuff. I know it sounds strange but Belle has always been afraid of the fly swatter (found out by accident when she was a puppy). I know them well enough to know when 'war' is about to break out & I just yell 'where is that fly swatter'. Beleive it or not that usually stops Belle in her tracks (shes the grouchy one). If for some reason that I am not paying attention & they start after each other then I just grab the water bottle & spray them in the face (yep, works on cats & chows). 99% of the time they get along great but occaisionally someone will be in a bad mood & all it takes the other walking too close to start the argument. There has only been a couple of times that they had to be seperated (like the time their dumb daddy had a can of tuna setting on the table where Chums grabbed it & Belle was determined to take it from him) when that happened I grabbed a harness & my husband grabbed the other harness. Belle is small enough that even I can pick her up off her feet which disorients her. 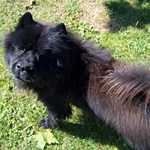 bellachow wrote: You can only do this if your chows view you as the master...but when Belle & Chums start growling over food/treats I just reach down & take it away. It doesnt take them long to figure out that they had best behave to get the good stuff. In a pack of males, the lone female will be the boss. It's a natural instinct, and a male that will attack a female for no reason or without VERY strong provacation has something wrong with him. Firesong is truly the dominant one with Dreamdancer, but even my other male Darkwind who was 70lbs, and older and had been with me first put up with her shenigans unless she went too far, like biting too hard or trying to take his yogurt, then he's just growl to warn her away and chase her a little, but he never attacked her no matter what she did. This is correct male/female behavior. It may sound simple, but Bellachow has it right. If they fight over something, take it away from both of them. They learn very quickly that if they dont have anything, there is no issue. They will learn to either share or to leave the other's treat alone, that choice is yours. yep, I did the same thing with Firesong when I got her. She would attack Darkwind over treats, so she would lose hers until she behaved. She would even try and attack him over regular meals, I would stand between them, and point her back to her own dish. It only took a week before she understood that 1) she would get enough to eat so don't worry about it, and 2) fighting over food was not allowed. We went through that, drove us crazy. We finally got the pecking order worked out by adhering to it strictly ourselves. If a dispute breaks out, pick them up. wait till all is calm and begin anew. Now that FengHuang is acknowledged above ShenLung we don't have issues. He won't even touch a bone until she has chewed on it, then when she moves to the other bone he knows he is OK. Oh he yelps his disappointment now and again, but no real fuss. This is the same with meals, even though they eat in different rooms, he won't touch his until she is finished hers and has pilfered his good stuff if she desires. The pecking order is for everything, leash, door, stairs, car, water, attention, you name it. ShenLung has bonded with Nat, and FengHuang with me, but we still observe the pecking order and anytime we have deviated we soon had some issue or another pop up. my male and female fight just like that.....no more chewy treats or rawhides unless they can be separate. It's my female that is agressive, not my boy. Simply...don't create the situation.